We were lucky with our Atlantic crossing and we knew it. The weather treated us well. We avoided hurricanes. We avoided large low pressure systems. We had a good captain, a prepared crew and luck on our side. In fact, we had to deal more with little to now wind more than we had to deal with a lot of wind. 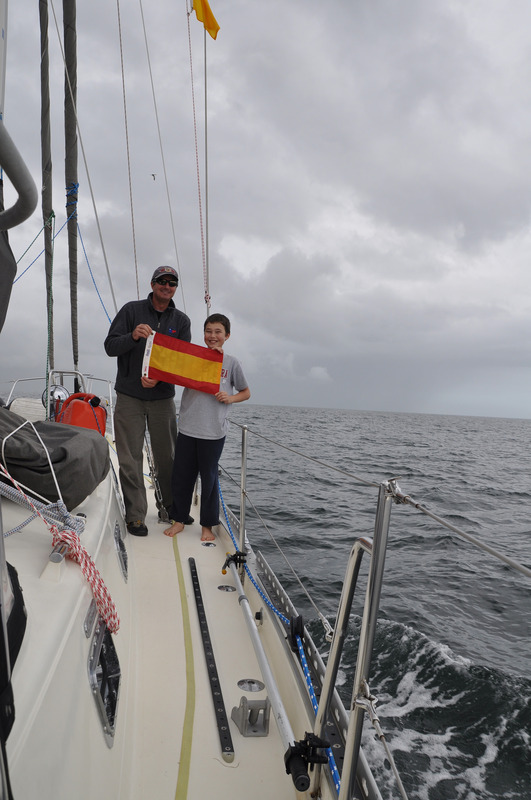 We were happy when we made landfall that our Atlantic crossing was behind us. But Mother Nature was not done with us yet! Darold had said to his dad the week before that he wouldn’t mind getting the experience of sailing several hours through a gale just to have that experience. 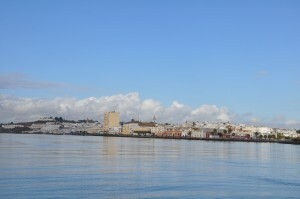 We are now in the south of Spain (Ayamonte) on the east side of Rio Guadiana which demarks the border with Portugal. 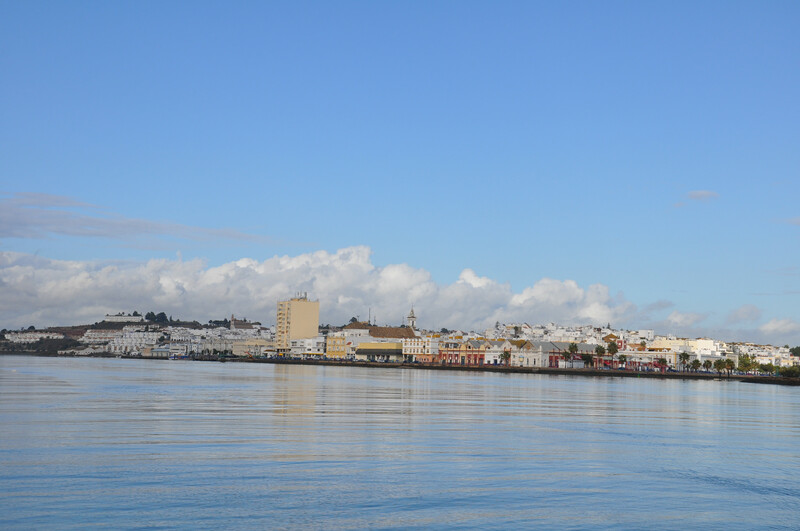 We loved Lisbon and cruising the south of Portugal was very nice. Ironically our roughest weather of the entire trip was sailing from Lisbon along the west coast of Portugal. We had 20 hours of near gale to severe gale force winds (45 kts). The forecast called for 20 – 25 kts. Needless to say, the boat handled the conditions much better than the crew. The seas really were not that bad, at least not compared to Dominican Republic where they were tightly bunched together due to the shallowing water. The seas were very large 15′ occasionally really big maybe 20′, but not breaking. They were uniform and consistently from the same direction. You would see these big mountains rolling towards you, and you are wondering how the hell are you going to survive this. They seemed like they towered over us, yet the stern inevitably would rise nicely as the waves pushed under us. Favorably the stern behaved like a bow, an advantage to a canoe stern in big flowing seas. Next we would be surfing down the waves hit 9.5 kts+. As you approached the bottom and settled into the water/whitewash the deck would be flooded with water, but never coming into the cockpit. We stayed surprisingly dry. The boat was very sea kindly and felt quite stable in the conditions. We were sailing under a triple reef on a broad reach with a preventer. I thought we might have to drop the main and go under furled jib so to minimize yawing, but the boat’s motion was very straight and steady. I guess the force of the wind on our portside main and the force of the waves on our starboard side balanced each other out. The one thing we have learned in all these miles is there is no single approach you can use for any given condition. What worked in 20 kts in the past may not work in 20 kts for the current condition. Every time you have to fiddle with the arrangement to find what works best for those specific sea conditions. Darold was the consummate captain and Benevento handled it like a champ. For you sailors out there, we had a triple reefed main with no headsails up and we were on a port broad reach. Fortunately, we were not on a lee shore so, all in all, the conditions were not dangerous. Just uncomfortable. You could sometimes see huge waves coming toward the stern quarter and think to yourself, “that is a HUGE wave,” and it would simply pass benignly under the stern. Darold was marveling at how sea kindly Benevento was, while I was practicing my fear-busting technique of yelling at the ocean, “F*&% you ocean! You can’t get the best of me!” I repeated this mantra, aloud and in my head, until it actually started to work a little. Dante was comfortable down below playing Minecraft, reading and watching DVDs. We were screaming along at over 9 knots when we were surfing down a wave so at least we were making good time! We night passed on vigilant night watch. Scanning the radar, making visual checks and taking logs. Morning arrived and we made our way toward the anchorage, ready for a good rest. We rested there for a day then made our way toward Ayamonte, Spain. 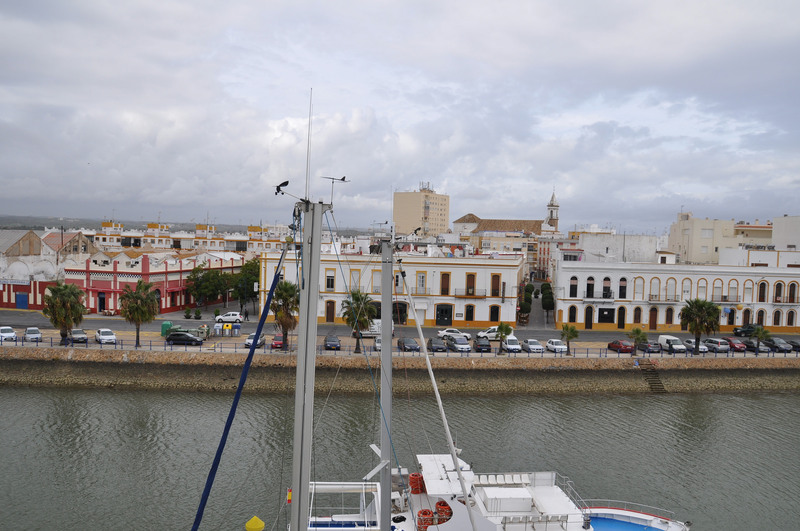 Ayamonte was a nice respite. The marina was walking distance from the city center, which was a beautiful and ancient, originally built by the Moors, full of winding streets devoid of cars. 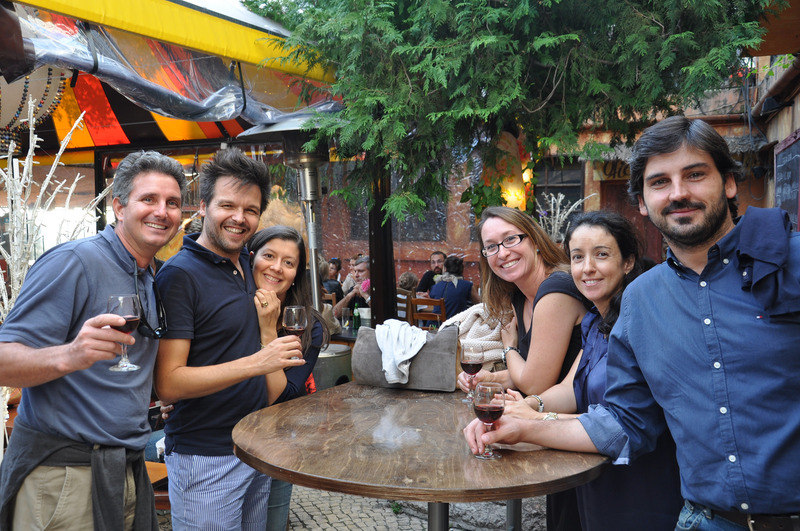 For a few days we drank our fill of delicious Spanish coffee, were introduced by a friendly bartender to various vintages of Jerez (Spanish sherry), and enjoyed Spanish olives and olive oil (Spain is Europe’s largest producer of olive oil.) Dante was introduced to Spanish hot chocolate, which is famously thick and gooey. More like spooning up a melted candy bar than drinking a beverage. 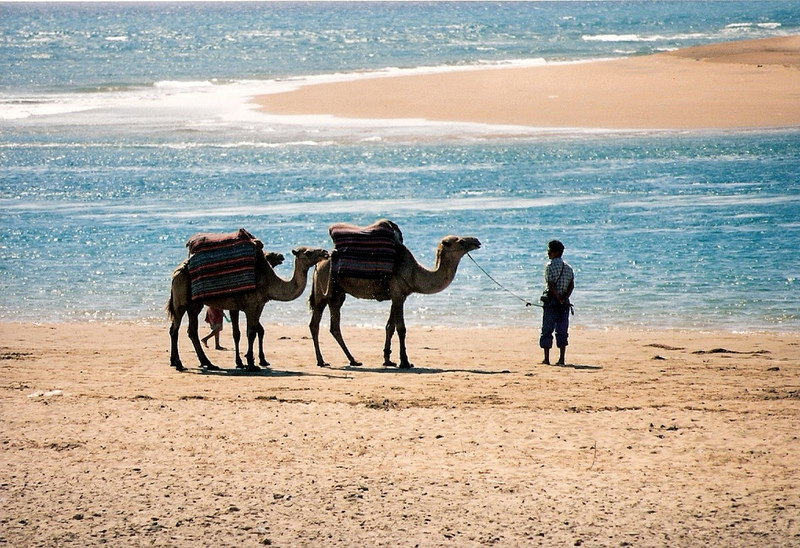 But it was time to accomplish our goal: head into the Mediterranean. We needed to make it to Gibraltar, the gateway to the Mediterranean.